The curly community is no stranger to mixing and finding ingredients that will help the overall health of the hair. 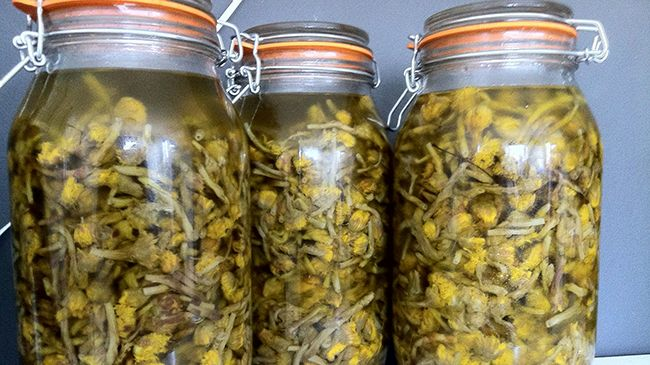 If you are looking for a new ingredients, you should consider coltsfoot, also known as tussilago. Coltsfoot is a plant that is usually used to help relieve coughs. Now that winter is quickly approaching, catching a cold is the last thing that you want to deal with. If you start to have a sore throat and are experiencing a cough that just will not go away, coltsfoot is an herb that you want to use. It can also help whooping cough, asthma, and bronchitis. How can you incorporate this herb into your regimen or diet? You can purchase coltsfoot as a tea, syrup, capsule, or herb. So you are probably wondering, how does coltsfoot benefit our hair? The MopTop Maven says, “Coltsfoot contains an abundance of mucilage, minerals, silica, sulfur and plant proteins which all work together to help add sheen, body, repair the hair shaft, improve elasticity, and promote hair growth.” If you are experiencing any breakage, damage, or hair loss then, coltsfoot may be the ingredient for you. You can find coltsfoot in shampoos, conditioners, supplements, or you can take the DIY approach by creating tea rinses or leave-in conditioners. If you want to monitor to see if this ingredient is working for you, journal your results weekly along with the actions you are taking. Take a photo of the amount of shed hair each time you wash or style your hair. It will help track your progress every week and see if the amount of hair loss you are experiencing. You can use a reusable silk or linen tea pouch, a stainless steel tea infuser or get some of the disposable unbleached tea bags at your local grocer. Steep the tea leaves for a least 10 min. and enjoy by itself or with a tiny bit of any natural/organic sweetener like agave, brown rice syrup, raw honey, maple syrup, or stevia. After receiving Zhara's Hair Growth Tea recipe, I thought it'd be cool to compile a list of herbs for the purposes of your final rinse on wash day (prior to styling). Catnip: Promotes healthy hair growth--many women on longhaircommunity swear by this stuff for long, strong hair. Add these herbs to your next wash day or to your next batch of henna. How do you include coltsfoot into your regimen?